A few months ago this blog reported on an interesting and important decision issued by the EFTA Court, this being the court with jurisdiction over EFTA states that are parties to the EEA Agreements (Iceland, Liechtenstein, and Norway): Case E-5/16 - Norwegian Board of Appeal for Industrial Property Rights – appeal from the municipality of Oslo. 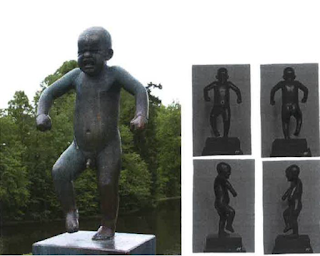 The decision followed a request for an advisory opinion from the Board of Appeal of the Norwegian Industrial Property Office (NIPO), and required consideration of whether and to what extent signs representing artworks by Gustav Vigeland and in which copyright protection has lapsed could be registered as trade marks under the previous EU Trade Mark Directive, ie Directive 2008/95 [EFTA countries are not part of the EU but are subject to EU legislation, being part of the European Economic Area]. The NIPO Examiner had partly rejected the applications filed by the Oslo municipality to register six signs as Norwegian trade marks, on grounds that the signs at issue would be devoid of distinctive character, be descriptive or be shapes that add substantial value to the goods. The decision was appealed before the NIPO Board of Appeal, which - in addition to the grounds considered by NIPO – wondered whether registration should be also refused on grounds of public policy and morality (Article 3(1)(f) of the Trade Mark Directive). More specifically, the Board of Appeal was unsure whether trade mark registration of public domain works might, under certain circumstances (notably when the artwork in question is well-known and has significant cultural value), be against “public policy or accepted principles of morality”. The NIPO Board of Appeal decided therefore to seek guidance from the EFTA Court, which in turn provided a detailed judgment addressing the registrability of shape marks and the notions of public policy and morality. As already discussed here, earlier this week the NIPO Board of Appeal issued its decision regarding the registrability of the signs applied for, and rejected the Oslo municipality’s applications. The Board of Appeal applied the principles expressed in the EFTA Court’s judgment, and held that the signs at issue could not be registered on grounds that registration would be contrary to public order. This position might sound harsh if considered in isolation, And in fact the Board added that it is not excluded that a sign depicting a work in which copyright protection has expired may be eligible for trade mark registration. Nonetheless in cases like the one at issue it is necessary to consider whether trade mark registration of signs representing artworks that are now in the public domain would conflict with the rationale underlying limited duration of copyright. This might be so no irrespective of whether the requirements for trade mark registration, including that the sign at issue is sufficiently distinctive, are met. The Board considered that the present case would be extraordinary. Nonetheless two considerations in particular would rule out the possibility to grant the Oslo municipality’s applications. 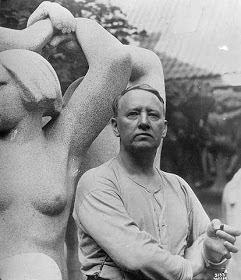 First, “both the artist Gustav Vigeland and the Vigeland space (park and museum) must be considered as belongings of the Norwegian cultural heritage”. Secondly, granting the trade mark registrations would amount to granting someone (the Oslo municipality) a competitive advantage over third parties without having contributed to the development of the trade marks thus obtained. The conclusion could be, therefore, only to reject the applications filed by the Oslo municipality.